Background and Objectives: Patients with unstable intertrochanteric fractures are older, and body function gradually degrades with age. The reduction and fixation of these fractures are difficult. Total hip arthroplasty is one of the main surgical treatments for unstable intertrochanteric fractures in the elderly. This trial was designed to identify the differences between cemented and cementless prostheses in the repair of unstable intertrochanteric fractures in the elderly so as to provide a clinical basis for the selection of hip prostheses for treating unstable intertrochanteric fractures in elderly patients. Design: A prospective, single-center, non-randomized, controlled, clinical trial. Methods: Eighty-six elderly (> 65 years old) patients at the Harrison International Peace Hospital of China with unstable intertrochanteric fractures underwent total hip arthroplasty. Forty-four patients in the control group received a cemented SPII prosthesis (Link, Hamburg, Germany). Forty-two patients in the trial group received a cementless Wagner prosthesis (Zimmer, Spartanburg, SC, USA). All patients were followed for 6 months. Outcome measures: The primary outcome was an excellent or good Harris hip score at 6 months postoperatively to evaluate the recovery of hip function. The secondary outcomes were the changes in Harris hip scores or morphological changes in the hip on X-ray preoperatively and 1, 3, and 6 months after surgery, intraoperative blood loss, operative time, postoperative blood transfusion volume, ambulation time, amount of drainage at the incision 1 month after surgery, and the incidence of adverse reactions at 6 months after surgery. 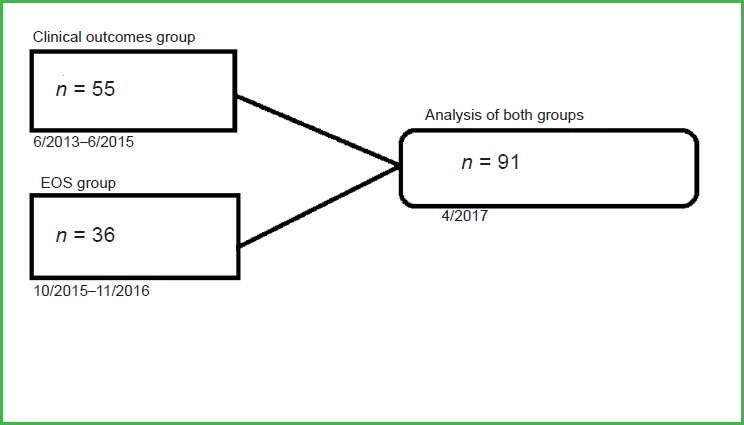 Results: Postoperative blood transfusion volume and the amount of drainage were higher in the trial group than in the control group (P < 0.05). The rate of excellent or good Harris hip scores was not significantly different between the trial and control groups (P > 0.05). Harris scores were lower in the trial group than in the control group at 1 and 3 months postoperatively (P < 0.05). The incidence of adverse reactions was not significantly different between the two groups at 6 months after surgery (P > 0.05), but bone cement poisoning was found in four patients in the control group. Conclusion: Efficacy and safety of cemented and cementless prostheses for unstable intertrochanteric fractures in the elderly were good. However, the cemented prosthesis was associated with a risk of bone cement poisoning. Trial registration: Clinical Trails.gov indentifier: NCT03193697. Background and objectives: VTI InterFuse® S and InterFuse® T are the interbody fusion devices used in spinal fusion procedures to relieve the pain of patients with scoliosis and degenerative disc disease through maintaining foraminal height and decompression. The aim of this study is to investigate the therapeutic effects of the VTI InterFuse® S and InterFuse® T on scoliosis and degenerative disc disease. Design: A prospective, two-arm, multicenter, post-market trial. Methods: A total of 200 eligible patients (18-19 years old) with scoliosis and/or degenerative disc disease and a planned fusion of at least 5 levels were recruited from 10 clinical sites. The patients will be assigned to receive T interbody fusion treatment with the InterFuse® S or InterFuse® interbody fusion devices. 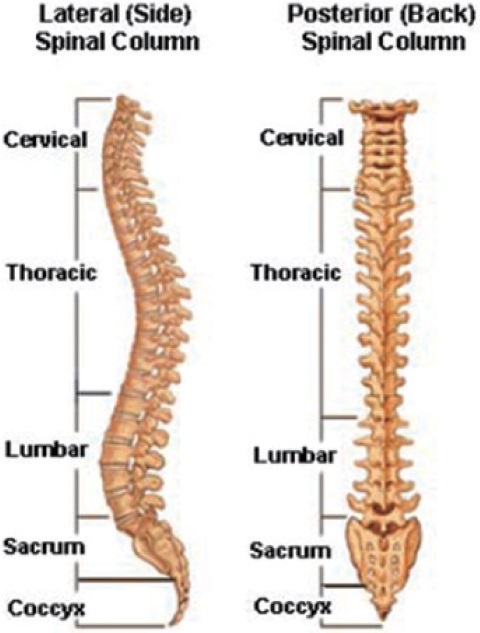 Outcome measures: The following outcome measures will be observed during 24-month follow-up: interbody fusion assessed by CT scan (primary outcome measure), and Visual Analog Scale and Oswestry Disability Index, and the Scoliosis Research Society Outcomes Instrument scores (secondary outcome measures). Discussion: This study will provide direct evidence for the intelligent use of VTI InterFuse® S and InterFuse® T interbody fusion devices in the treatment of scoliosis and/or degenerative disc disease. Ethics and dissemination: The study will receive approval from the institutional review board at each site and will be conducted in accordance with the ethical principles of the Declaration of Helsinki. Results will be presented at national and international meetings and submitted for publication to peer-reviewed journals. Trial registration: ClinicalTrials.gov identifier: NCT02659722 on January 15 th , 2016. Background and objectives: Total knee arthroplasty is the main treatment for end-stage knee disease. However, knee prostheses are mostly imported from overseas, making the price expensive. Furthermore, ethnic differences mean that these prostheses designed for Westerners are not designed to meet the needs of Orientals. According to the anatomical characteristics of the knee in Chinese subjects, Wuhan Yijiabao Biomaterial Co., Ltd. has developed a new knee prosthesis system. This system uses cobalt-chrome-molybdenum and high cross-linked polyethylene as the active friction interface, which has excellent wear resistance. 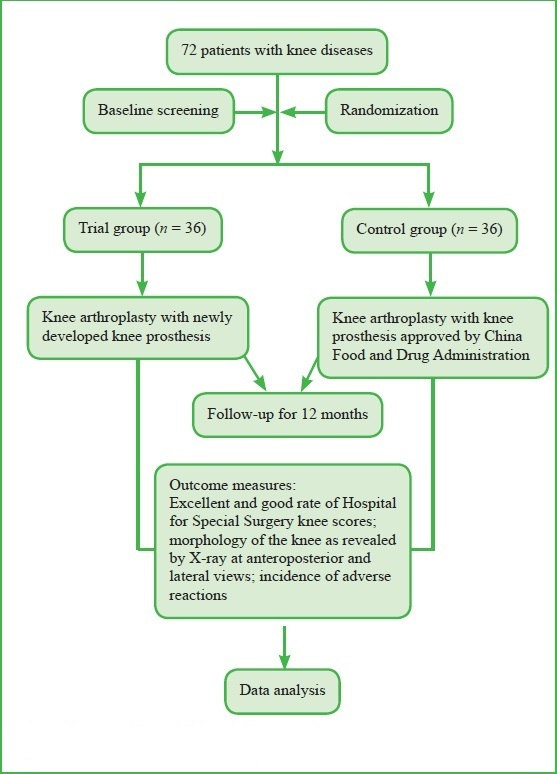 This trial is designed to verify the efficacy and safety of this novel knee prosthesis in total knee arthroplasty in Chinese patients. Design: A prospective, single-center, randomized, positive parallel controlled, non-inferiority, clinical trial. 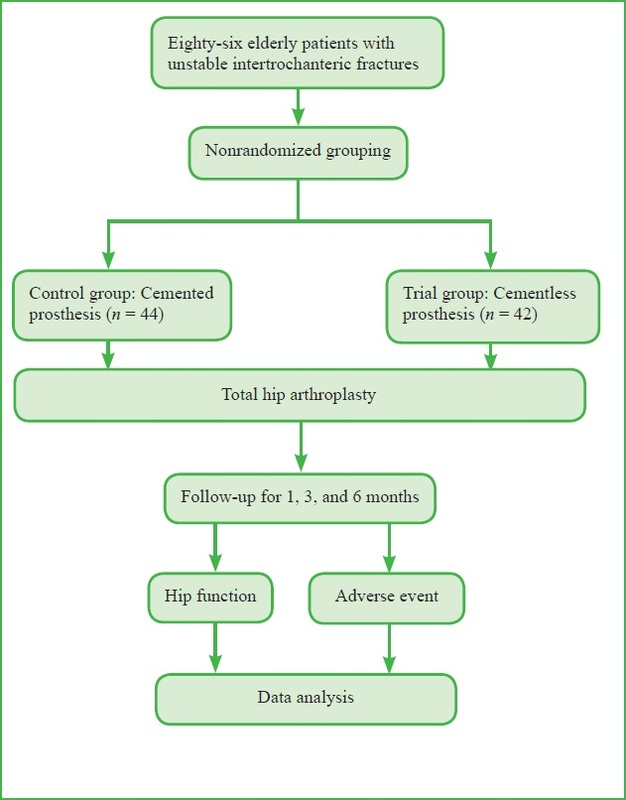 Methods: Seventy-two patients at Taihe Hospital, Shiyan, China with knee disease who are scheduled to undergo knee arthroplasty will be equally randomized into the trial group or the control group using a randomized block design. The trial and control groups will undergo knee arthroplasty with knee prostheses purchased from Wuhan Yijiabao Biomaterial Co., Ltd., Wuhan, China (newly developed) and Beijing AKEC Medical Co., Ltd., Beijing, China (approved by the China Food and Drug Administration), respectively. All patients will be followed up for 12 months. Outcome measures: The primary outcome will be the recovery of knee function as assessed by the rate of excellent and good Hospital for Special Surgery knee scores at postoperative 12 months (± 15 days). The secondary outcomes will be: the morphology of the knee as revealed by anteroposterior and lateral radiographic views taken preoperatively, and at postoperative 2 weeks (± 5 days), 6 weeks (± 15 days), 3 months (± 15 days), 6 months (± 15 days), and 12 months (± 15 days); the incidence of adverse reactions at postoperative 2 weeks (± 5 days), 6 weeks (± 15 days), 3 months (± 15 days), 6 months (± 15 days), and 12 months (± 15 days); and the correlation between various types of adverse reactions and each knee prosthesis type. Discussion: This trial is designed to verify the efficacy and safety of knee prosthesis during total knee arthroplasty. Ethics and dissemination: The study protocol has been approved by the Ethics Committee of Taihe Hospital of Shiyan of China, approval number 2016(34). Participant recruitment began in February 2017 and will be finished in September 2017. Data analysis will be completed in November 2018. Results will be presented at national and international meetings and submitted for publication to peer-reviewed journals. Trial registration: ClinicalTrials.gov identifier: NCT03184129. 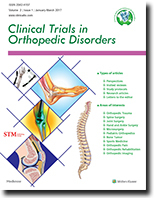 This commentary addresses strengths and weaknesses of the clinical trial study protocol designed by Liu et al., in particular with regard of the methodology, taking into consideration the commentary article "Assessing surgical methods for treatment of cubital tunnel syndrome - which is the best?" Our commentary emphasizes the importance of adjustment for known prognostic covariates, such as duration of symptoms and advanced age that have been negatively correlated with outcomes in previous studies. Subgroup analysis for the treatment groups of interest, namely moderate and severe cubital tunnel syndrome, which have previously shown conflicting differences in efficacy of surgical options is highly recommended. Intention-to-treat analysis is a preferable approach for the evaluation of primary outcome measures to lessen the bias. Use of well-validated composite outcome measure is strongly encouraged. Cubital tunnel syndrome is a common and debilitating cause of upper extremity neuropathy. Several surgical options exist for treating this condition, including simple decompression, subcutaneous anterior transposition, and submuscular anterior translocation. The literature shows no clear differences in outcomes of these procedures. Consequently, the decision of which procedure to perform is often a matter of surgeon preference. Liu et al. has designed a blinded, randomized clinical trial to compare outcomes at 6 months postoperatively. This commentary addresses strengths and potential areas of improvement in the study protocol. With revision, the aforementioned study could provide clinical value in determining the ideal surgical option for cubital tunnel syndrome that maximizes reduction of symptoms while minimizing complications.